Happy Birthday to me!!! 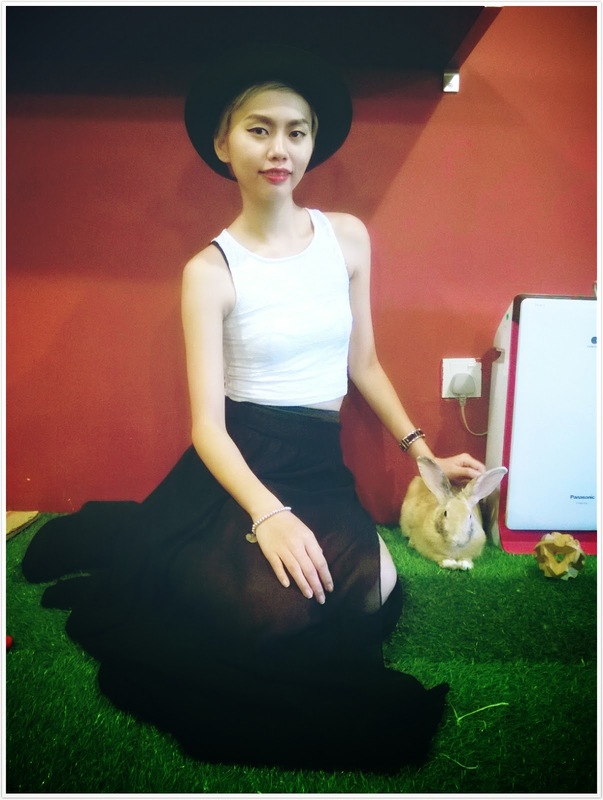 Last week (or 2 weeks ago) was my birthday, nothing fancy happened that day but managed to celebrate my birthday with a bunch of rabbits at Hop Hop Cafe which located at Subang SS18!!! Thank you for bringing me there Mr. K! I forgot to snap the whole interior of the cafe and also the how the shop looks like from the outside, but it's a pet friendly cafe, feel free to bring your pets there (but limited to outdoor only I think). 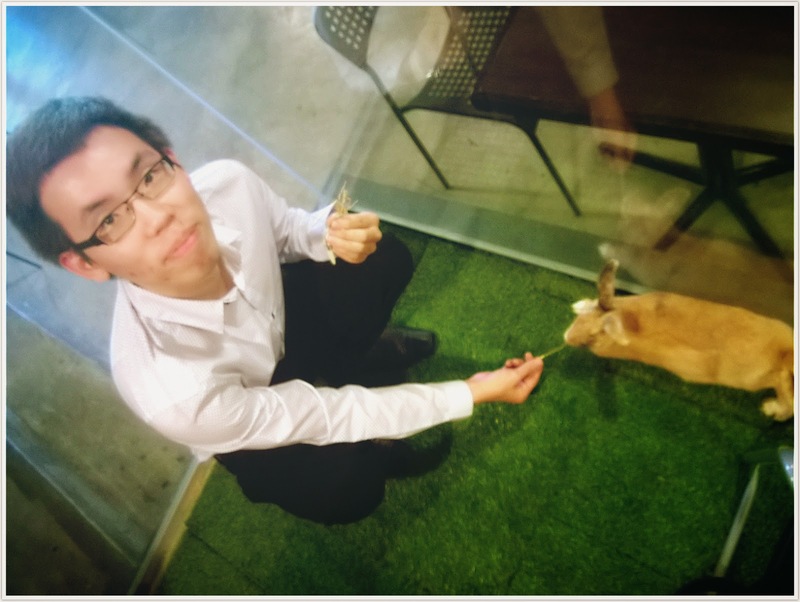 My major intention is to spend time with the bunnies there, so I forgot about everything. Literally forgot to snap my cup of Iced Mocha too! My cup of Iced Mocha costs about RM15, but I saw there's donation to some animal rescue association thingy with the earnings, so I guess is indirectly money well spent and doing good deeds at the same time. 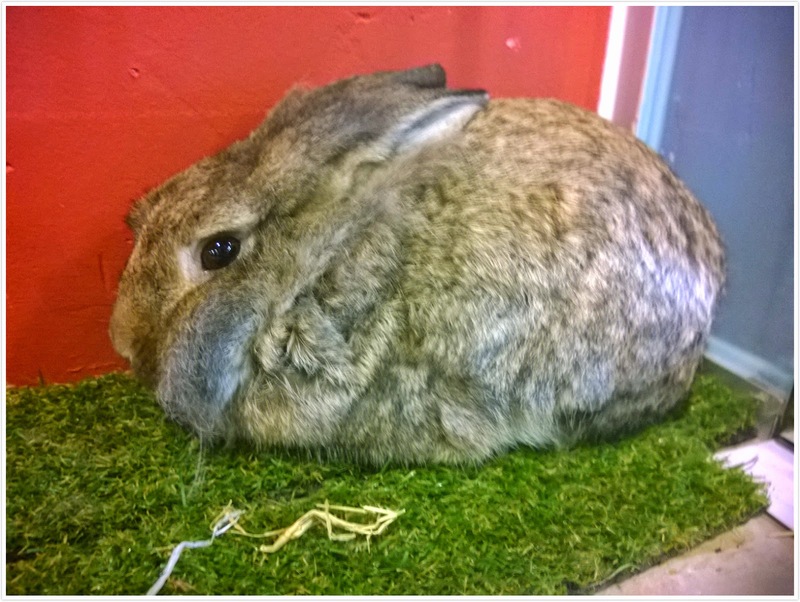 I reached there about 2pm+, and there was rabbit resting time!!! 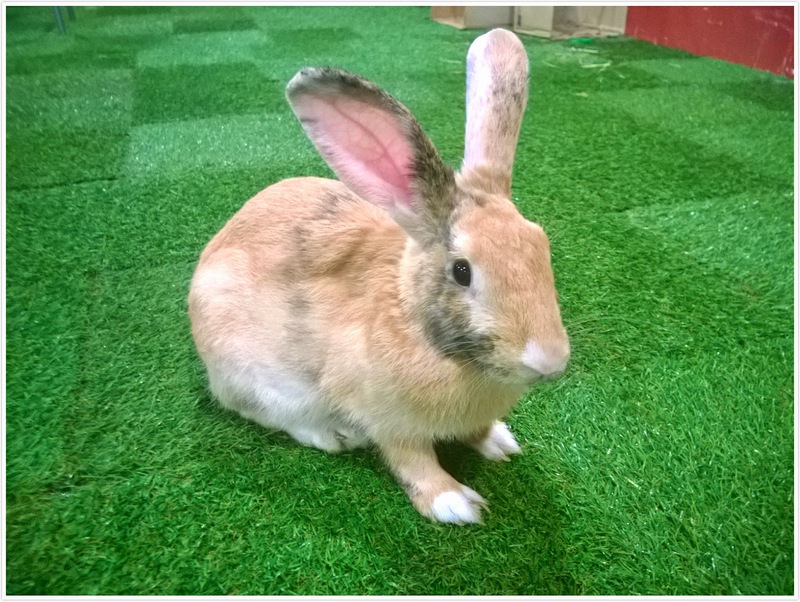 From 2pm - 4pm, and 7pm - 9pm, there's this rabbit resting time where you cannot go into the rabbit room/enclosure/place/box/space/whateveryouwannacallit and pet the rabbit. 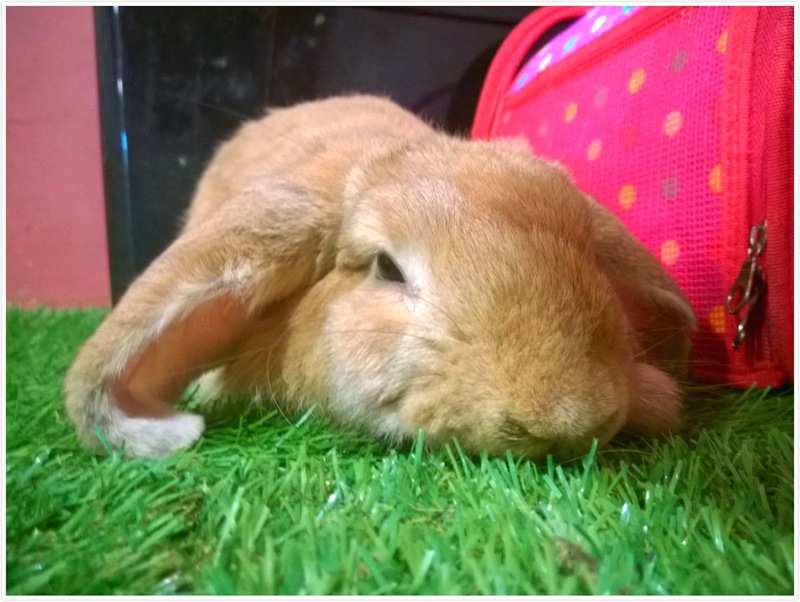 They are rabbits not toys, they need to rest also although they do nothing for the whole day. lol. And also, kitchen only opens during lunch and dinner time, no afternoon tea bites for guests, only cakes available. 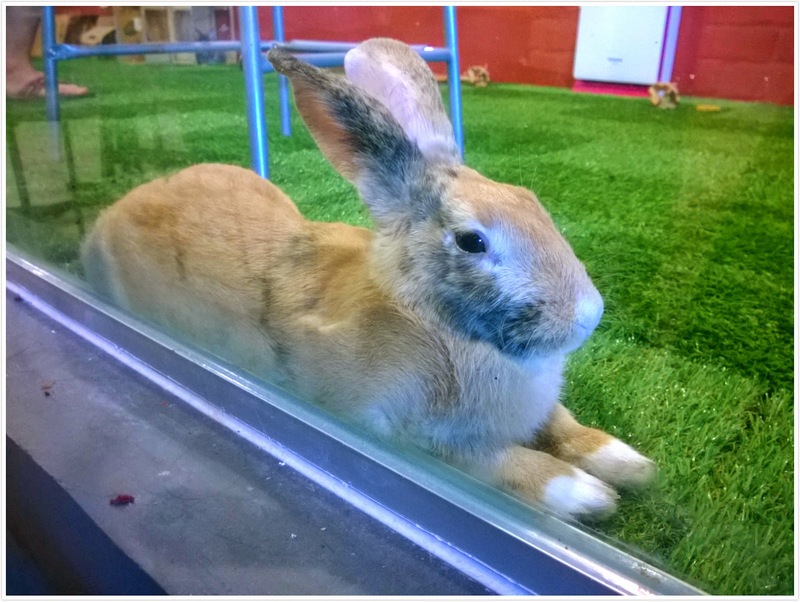 Frustrated but nothing I can do but only wait till the time passes so I can finally go inside to pet the rabbits. like a fake one isn't? 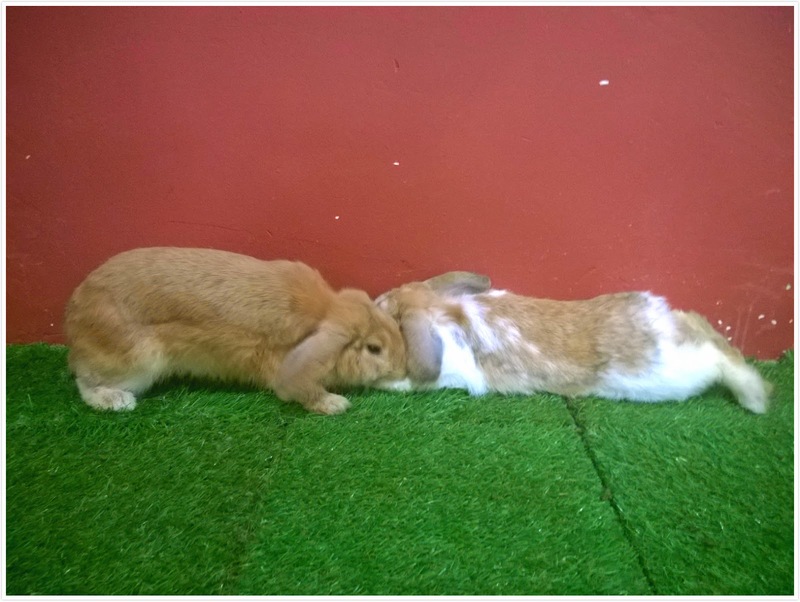 Each rabbit have different personalities, some like to hop here and there, chew on everything being so naughty, some are so lazy they sleep alot, some are so emo they just hide at corner and look at their surroundings, some just keep eating all the time, some like to hide in their safe house etc etc. So fun looking at each of them doing their thing. 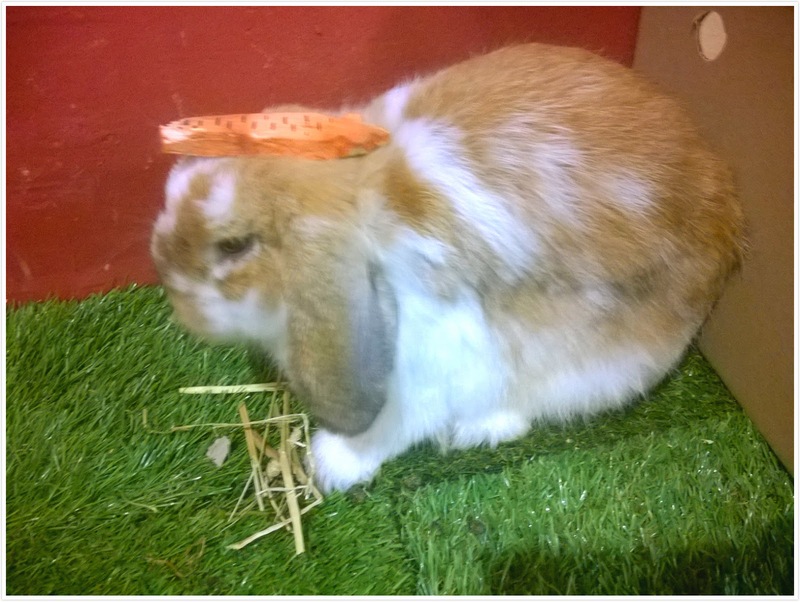 can I put you in my garden fake rabbit? He looks forever emo. Kesian. 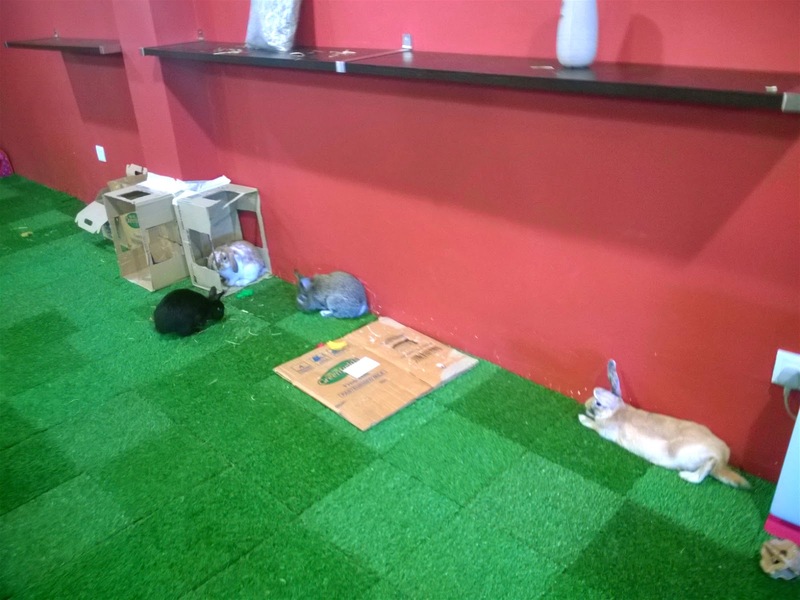 Feeling stressful from everyday's life is a very good reason to visit rabbit cafe or cat cafe because just by looking at them, your worries and stress will slowly go away. Looking at them eat drink play sleep reminds me of how to go back to the fundamental needs of a living being, without thinking too hard trying too hard to be a somebody in life. I'm glad I found the reason to keep moving on in life all over again! To another year of awesomeness haha! 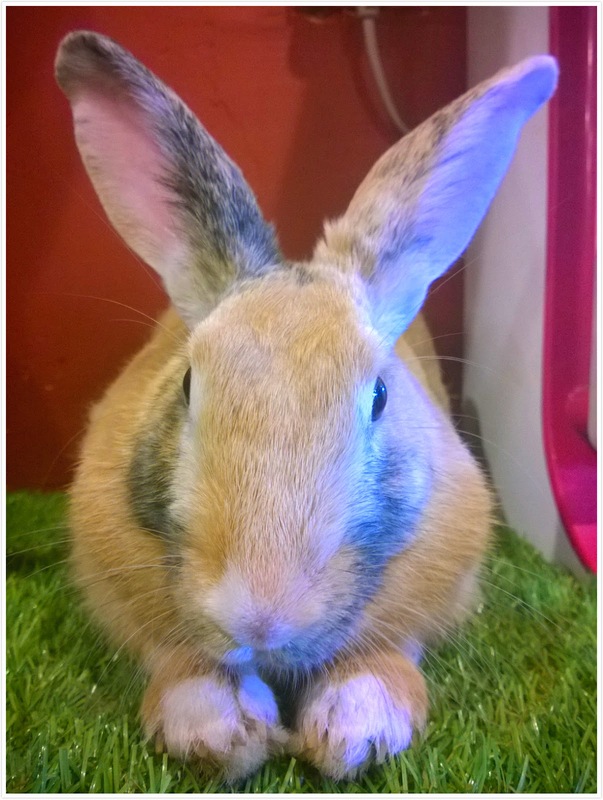 This can be the I.C/passport photo of this rabbit haha!